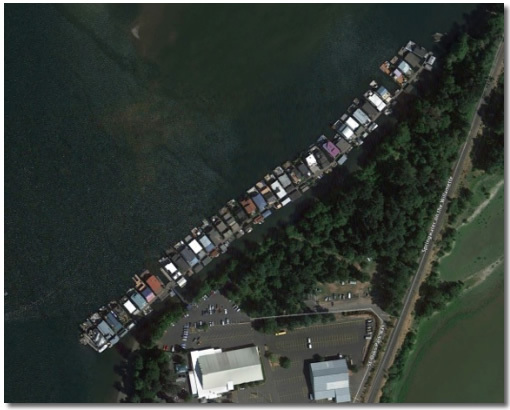 The Oregon Yacht Club is a floating home community located on the Willamette River in Portland, Oregon. The close proximity of downtown Portland while still in a pastoral setting has contributed to OYC’s being one of the premier floating home moorages in the area. The 38 floating homes adjoin eight acres of natural riverfront property, bordered by the Springwater Corridor and Oaks Bottom Wildlife Refuge.